Autumn is a great time to start bringing out your accessories. So many people look forward to the day when they can wear their boots and cable knit sweater to the apple orchard. What could be more picturesque? So, go ahead and tug that cute fall cap on your head but whatever you do, don't forget to accesorize your house! In the gloomy oncoming months it's only fair to make sure your good old house looks as cheerful and accessorized as you do. Here's the thing, over the years you may have run dry on cute seasonal decorating ideas. Of course you wouldn't stray from the classic Jack-O-Lantern but it's tricky to move beyond pumpkins without straying into Spooks Ville. 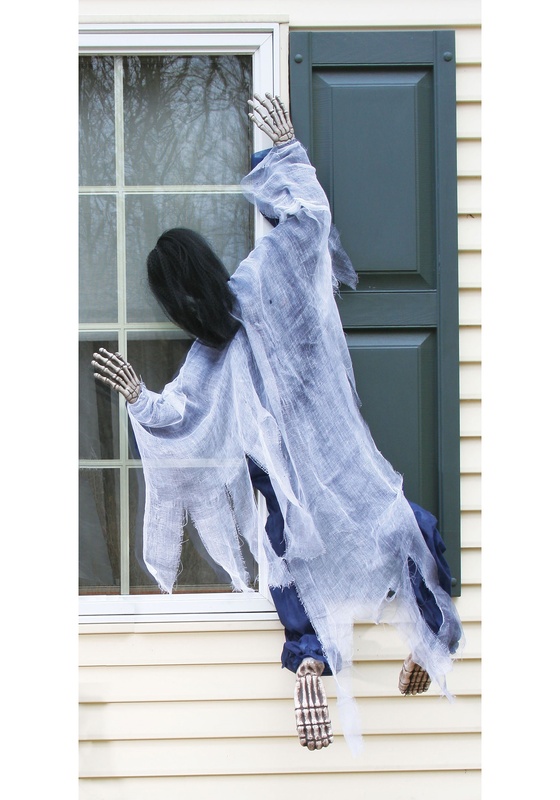 This witch is sure to get plenty of giggles from trick-or-treaters, we don't know if she's peeping in the window to see what's brewing in there or maybe she simply lost control of her broomstick. Either way, your house will thank you for the new autumn accessory.